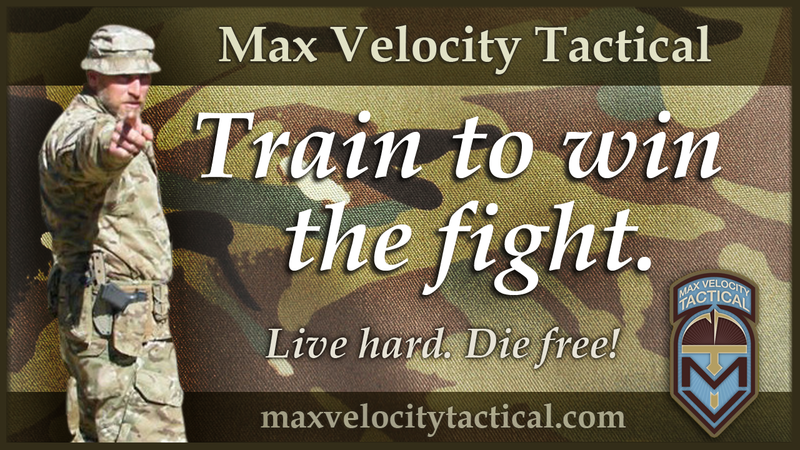 This weekend I attended the Combat Team Tactics class at Max Velocity Tactical in West Virginia. It was my first time taking any class there, and I heard a lot of good things about it. Although I have taken many firearms-related classes at different schools (including a team tactics class), I must say that a major difference is their static environment vs. the dynamic one at MVT. 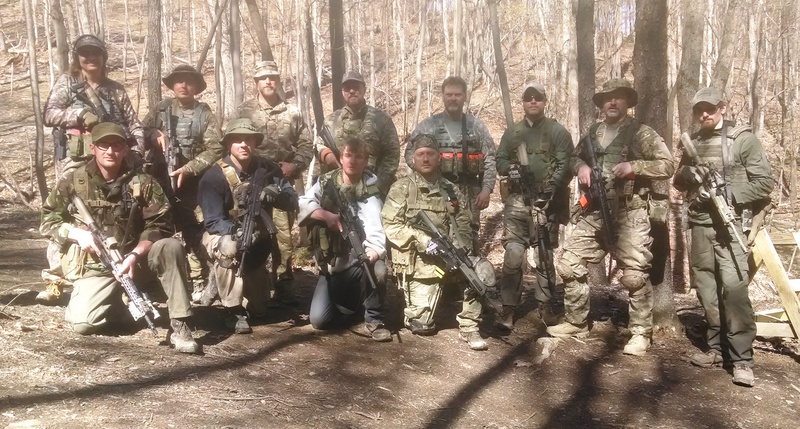 You simply can’t compare a square range and static targets with a large area (100 acres) of heavily wooded mountains and targets that suddenly appear out of nowhere at different distances and locations around you. Couple that with world class training, and you have a real winner! The first day was focused on rifle drills and malfunction clearing on the square range (FYI, a second square range is being built at MVT too). This was to bring everyone up to speed and on the same page, and to work out kinks in your gear. In addition to all the typical malfunctions covered at other training schools, I learned a new one which I have not seen taught anywhere – the bolt override drill. While bolt override is an uncommon malfunction unique to AR-15s, it can be a showstopper if you don’t know how to clear it. Max showed us a very easy way to do so. I also took the Night Optical Device Firing (NODF) class (add-on class given the night after the first day of CTT), which shows you how to set up and utilize night vision gear with your rifle. I used a head-mounted PVS-14 monocular with a DBAL I2 IR laser sight. The class included zeroing and doing many of the same drills we did during the daytime on the square range. Then to top it off we had the grand finale of going on a night raid of an enemy encampment on the “Raid Range” on the other side of the mountain — it was just like in the movies! The night raid was one of the coolest shooting exercises I have ever experienced. The second and third days were out on other ranges for many contact drills – “Maxercises” as I called them, because in and of themselves they are great physical conditioning! This class is not for the sedentary and they don’t make molle bags for defibrillators. I don’t feel that the CTT class required anyone to be a super athlete…. just a basic level of fitness. You will be running up and down mountains, diving for cover, shooting, then getting up again and doing some more running. The problem is that today people load up on sugars and high glycemic carbs and get very little exercise, if any. That simply isn’t going to work. Just a little cardio and strength training goes a long way. If nothing else, grab a WOD off the Spartan or Crossfit websites a few times a week. You should be doing something to stay in shape anyway – it is your responsibility to maintain your health. The contact / break contact drills themselves were a lot of fun, engaging 3D pop-up “enemy” in various scenarios, just like you see in the movies! Skills learned included team movements, bounding, RTR, peels, etc, each drill run in two person and four person teams. 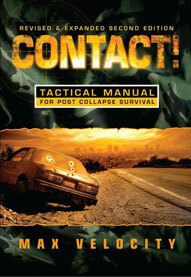 Although these are described in Max’s book “Contact!”, it is one thing to read about them, but a whole different thing to experience them in a live and dynamic environment, where you are under pressure and make mistakes. Not only are you learning through immersion, you are having fun! The grand finale on Sunday afternoon was the squad hasty attack on 2 enemy bunkers (the “squad” being the class of 12). Once again, just like in the movies! I really don’t get the recent banter of Max being too tough on people, or an a**hole. I thought his class was like Disneyland for people who like to do dynamic shooting — if you like action-oriented, run-and-gun type competitive matches, you will love this class! During the class I ran through about 1100 rounds of ammo (including the NODF class), and the new light weight AR I recently built to accommodate an IR laser ran beautifully, without any malfunctions except those that were induced for the purposes of clearance drills. There were others that did have some issues, but all were able to be resolved without having to resort to any backup rifles they might have brought. (200 rounds approx for NODF, bring 1000 for CTT, you need around 900). One other thing – this is a class on teamwork in dynamic scenarios. You will be relying on your buddies, and them on you. I want to thank George for being such a great training partner this weekend!